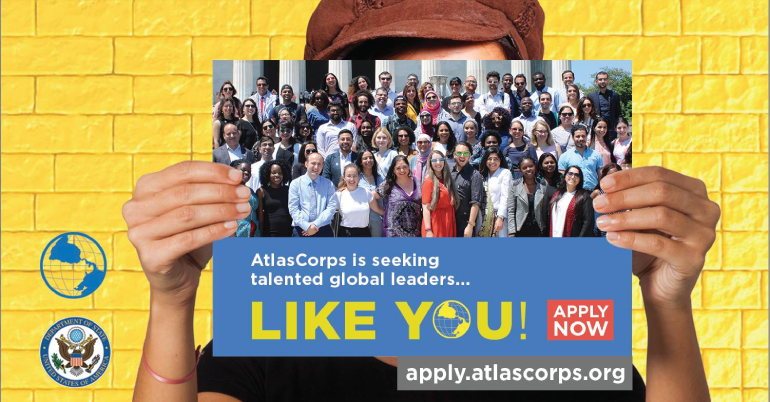 The Atlas Corps Fellowship is a 12-18 month Fellowship in the United States for the world’s top social change leaders. When applicants apply for the Atlas Corps Fellowship, they’re not applying for a specific Host Organization or a specific start date. They are applying for the opportunity to be considered by Atlas Corps and potential Host Organizations for placements starting throughout the year. Atlas Corps review candidates based not just on eligibility and quality of their applications, but also how well they fit with the desired profiles Atlas’s potential Host Organizations are looking for at any given time, so some candidates may advance more quickly through the process than others. In some cases, strong applicants may be selected for the Fellowship in as little as 3-4 months after they submitted Part 1 of their application. In other cases, strong applicants may be considered for multiple classes, potentially longer than a year, before matching with a Host Organization placement. Atlas Corps considers applications on a rolling basis, though they encourage applicants to apply as soon as possible to be considered for Host Organization placements. The application is a multi-step process. Their Fellow Classes start four times a year: January, April, July, and October. To be considered for Fellowships beginning in July and October, they encourage you to submit Part 1 application no later than February 28. To be considered for Fellowships beginning in January or April, they encourage applicants to submit the Part 1 application no later than August 15. Atlas Corps receives hundreds of applications each month. The vetting process may take several months to complete. Atlas Corps recommends submitting an application as soon as possible to initiate the review process. Applicants may apply at any time, so please do not wait for any deadlines. If they are accepted to the Fellowship, there may be a quick turnaround time between the acceptance and the beginning of the Fellowship. Final decisions about each class of Fellows are made approximately 4-8 weeks before the class begins. Fellowship start dates are not flexible and assuming the applicant’s visa is approved, they must begin their Fellowship with the Class to which they are accepted. Fellows serve full-time at Host Organizations to develop leadership skills and learn effective practices through the Atlas Corps Global Leadership Lab professional development series and networking opportunities with other Fellows. Part 1: applicants will need to create a login and can save their responses so that they can return to the application at any time. In Part 1 of the application (known as the “short form”), they provide contact information and complete the initial eligibility test. If they pass the initial eligibility test, they will complete additional background questions and one short essay. Part 2 (by invitation only): Atlas Corps will review Part 1 applications and invite eligible candidates to complete Part 2 of the application (known as the “long form”), which includes additional questions about applicant’s skills and interests and several short essay questions. 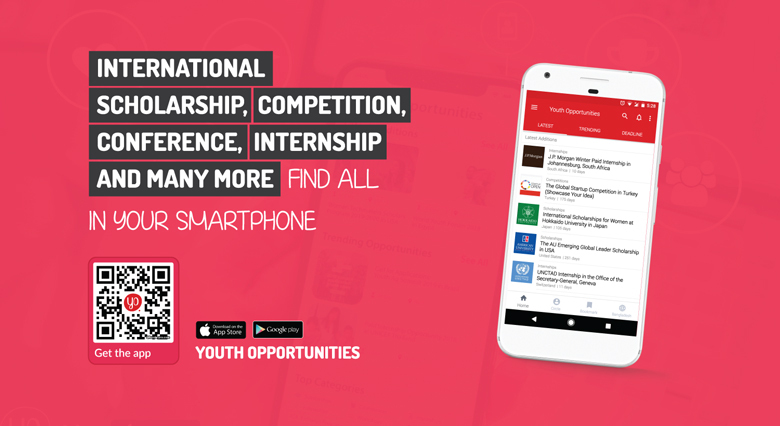 They will also be required to submit contact information for at least two references who know them in a professional capacity and will write a letter of recommendation about their skills and experiences as well as their potential for success as an Atlas Corps Fellow. Applicants will need to send their requests for letter of recommendation directly through the application system. Applicant’s recommenders will receive an email that asks for a recommendation. More detailed instructions can be found in the online application form. Atlas Corps will review Part 2 applications and select top candidates to interview via Skype with the Atlas Corps Selection Board, including Atlas Corps staff and nonprofit sector, government, and business leaders from multiple countries. Candidates who pass the Atlas Corps interview stage will be designated as Semi-Finalists, which means they are eligible to be reviewed by potential Host Organizations for placements based on their interests and skillset and the organization’s needs. Host Organizations invite Semi-Finalists that best match their positions to conduct Skype video interviews with them, moving on to the Finalist stage. Host Organizations will make their final recommendations to Atlas Corps, and Atlas Corps will notify the selected candidates. After being selected, Fellows will go to the U.S. Embassy in their respective countries to apply for a J-1 visa. Atlas Corps will provide support in obtaining this visa.